Got a lot on your mind? You need to write it down. A surefire way to improve productivity is by writing all the things you need to do down. It clears cognitive clutter so your brain is free to work on things that are really important. You can grab this printable bundle from Happy Mail Day. Want to say a big ole’ pink HELLO to someone? Grab this printable from Happy Mail Day for just .99c until this Friday! Are you a fan of handwritten letters and snail mail? We should send more, don’t you think? Need a place to write some notes? Paper Loves Glue has these adorable, printable notes pages. Loving the header. While you’re having a browse on Etsy don’t forget to pop in at the Happy Mail Day shop (my shop!). Be an organised blogger with my printables! Ages ago I mentioned that I had begun using an A5 folder to keep track of all my blogging stuff. It keeps me so much more organised and helps me to channel all of my thoughts into one space. I’ve got editorial calendar printouts, sharing schedules and even a humble to-do list. I thought that these might help to organise some of you guys so I’ve listed them on Etsy. Download them and give them a try. I’d love to know what you think. OK so I’m starting off small in my Etsy shop! I think that’s the best way to do things. 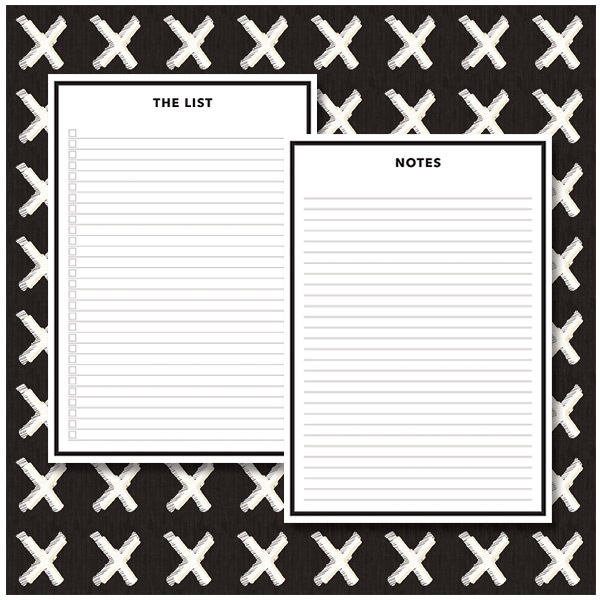 I’ve put up four very cute notepaper sets that will make you want to write letters super badly. Some days you just need a little boost. When I need a little BOOM! POW! I turn to Oh Great and Mighty Pinterest to give me a little motivational printable action. Best part is – these ones are free! Yippee! 1. Amazing things – Paper Coterie. 2. Life is too short – Lara Casey. 3. 5 Reasons To – Five Sixteenths. 4. Touch the sky – The Superettes. 5. A great goal in life – monica Rysavy. 6. Hey You! Go Out There & Be Awesome – Shauna Lynn Panczyszyn. Very cute printables you have Paper + Pip! I love the colours and the designs and the illustrations. So, so cool. 1. Personalized Monogram Note Cards. 3. Healthy Eating Chart For Kids.